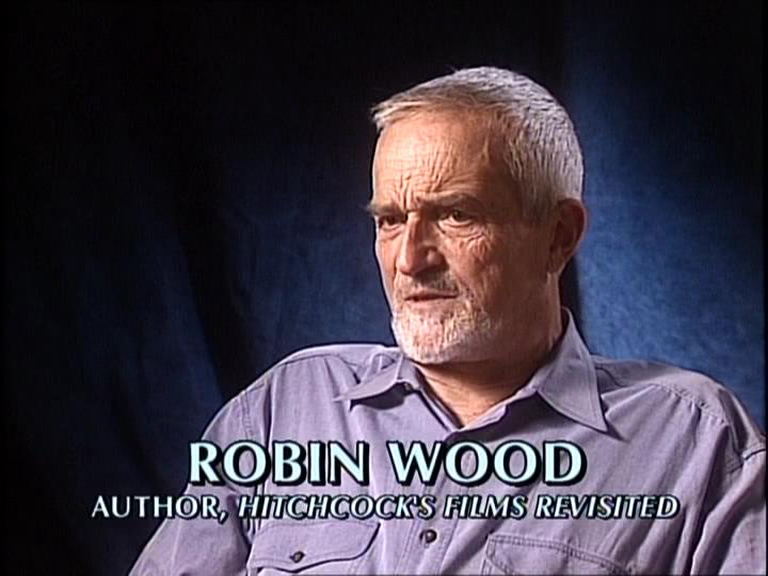 Robin Wood (1931–2009), born Robert Paul Wood, was the Canada-based author of several books of film criticism, including volumes on Alfred Hitchcock, Howard Hawks, Ingmar Bergman, and Arthur Penn. Wood was also a member of the editorial collective that publishes the magazine CineACTION!, a film theory collective founded by Wood and other colleagues of Toronto's York University where he was also a professor emeritus of film. CineAction (1999) - Looking at "The Birds" and "Marnie" through the "Rear Window"